The Bethesda System 2001: ASC-H: atypical squamous cells, cannot exclude high grade lesion. They represent less than 10% of ASC. 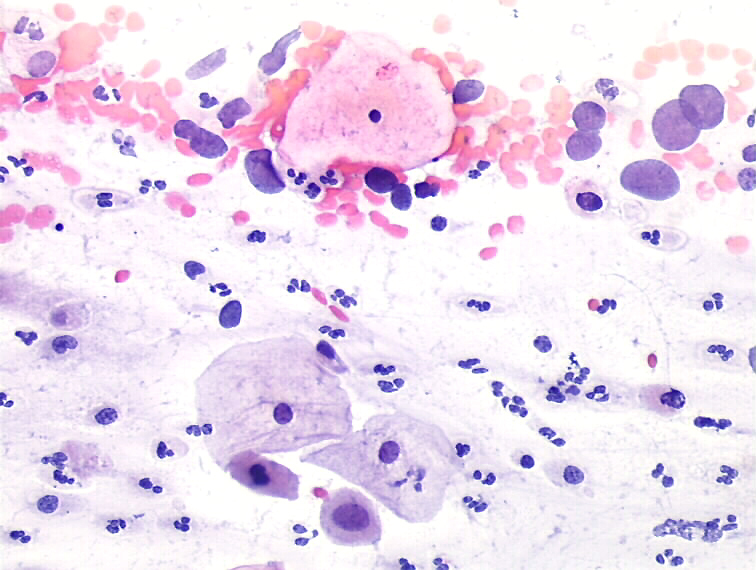 New term in ASC, to individualise cytologic changes of squamous cells that are suggestive of HSIL but lack criteria required for a definitive interpretation. These cases are associated with a higher risk of intraepithelial lesions, more often with CIN2 and CIN3 than in ASC-US smears.